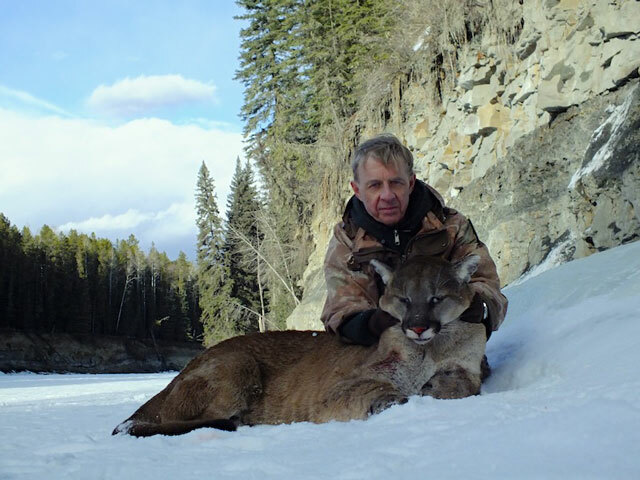 PATRICK GENTIL of Paris, France, came to Alberta, Canada looking for adventure and harvested this nice mountain lion in February. 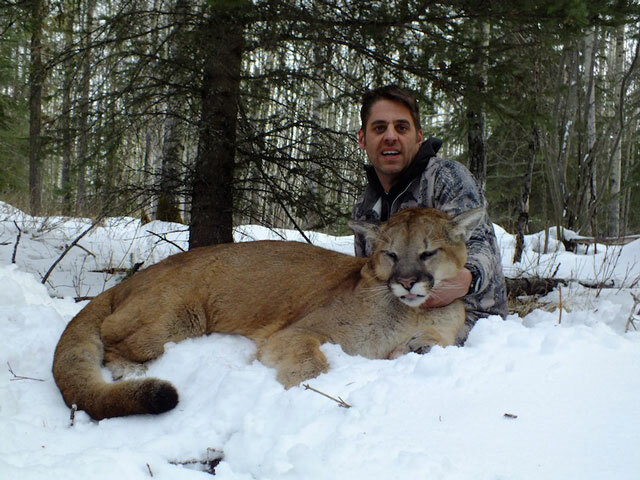 RICHARD L'ESPERANCE of Port Washington, NY, returned in February for his second try of the year at a cougar and took this gorgeous tom on the last day of his hunt. BILL WILSON of Missoula, Montana came back up to Alberta in September to hunt for trophy mountain mule deer on horseback. 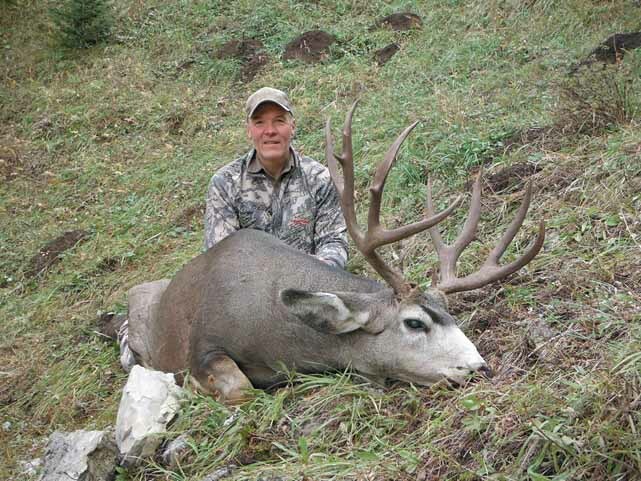 He shot this handsome sticker buck in a steep, high country basin. 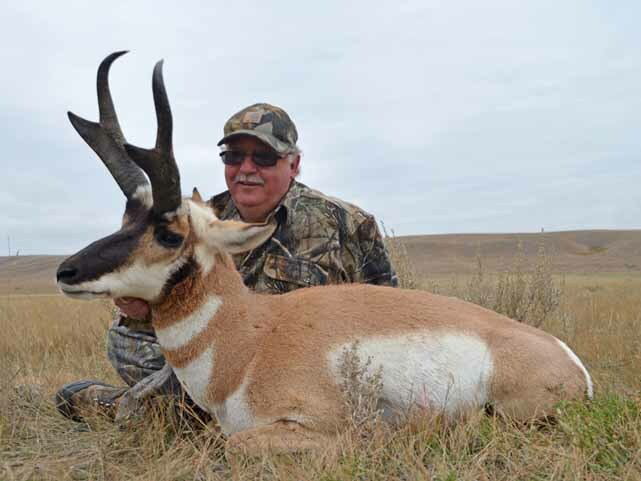 We then headed out to the prairies for Bill to pursue his passion for pronghorn antelope, where he took this gnarly, old bruiser. Bill has hunted with us many times and it's always great to have him back again. 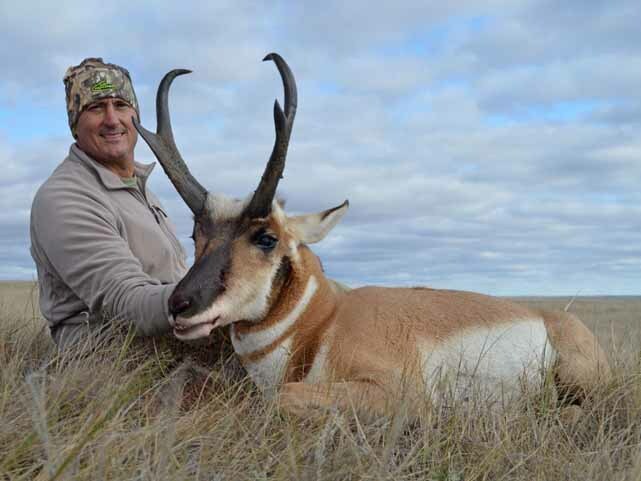 CHARLIE MOORE of Fort Mill, SC harvested this great pronghorn buck on a beautiful early October day. After a long stalk the buck gave us the slip, but fortunately we were able to get up on him again! TOM GILMORE of Libby, Montana, took this gorgeous bull on the fifth day of his horseback moose hunt. As you can see, persistance and patience paid off with a very unique and beautiful trophy. Note the unusual blue/grey coloration and light colored hooves which are the result of a recessive gene. 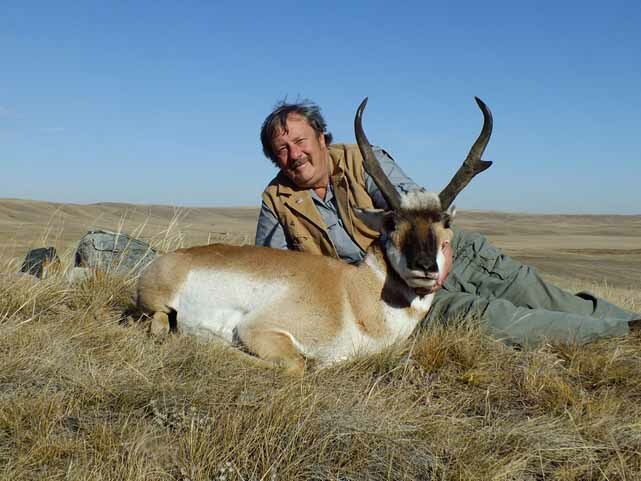 DARIO ROCCA of New Liskeard, ON came on an antelope hunt in October with his friend Mel. 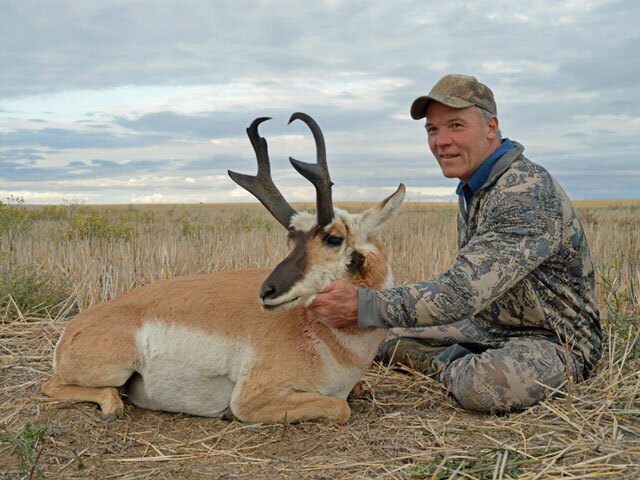 He made trophy pronghorn hunting look easy, taking this ivory tipped and tight hooked buck early on the first morning of his hunt. 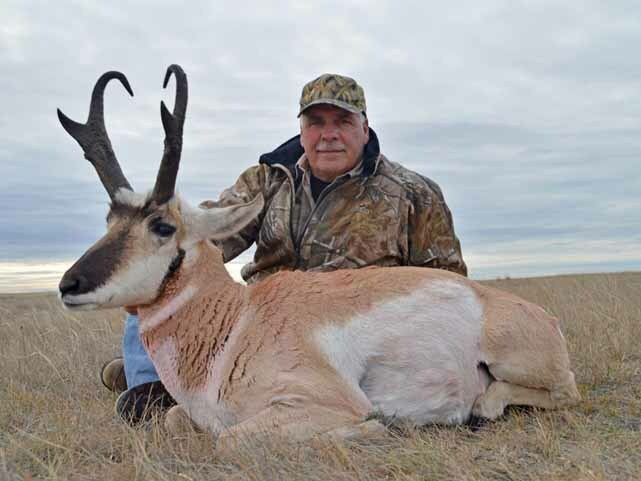 BARRY REISWIG of Cody, WY, came back to Alberta to add another trophy pronghorn to his collection. He took home this dandy buck. 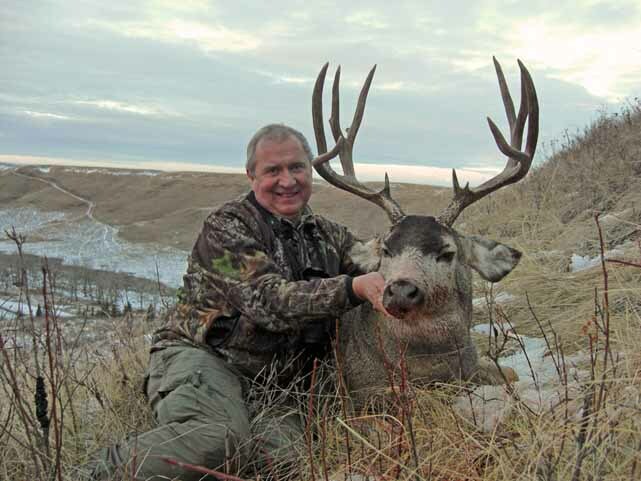 Barry has also hunted mule deer and moose with us in the past and we truly enjoyed having him back! 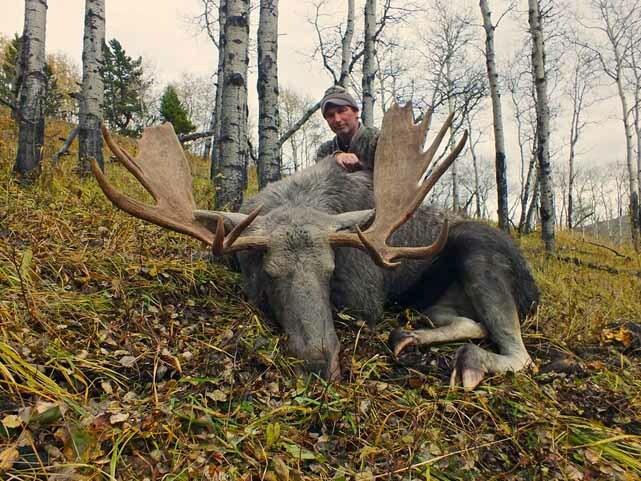 JAY FURNEY of Pueblo, CO came north for a trophy Shiras moose horseback hunt at the end of October. 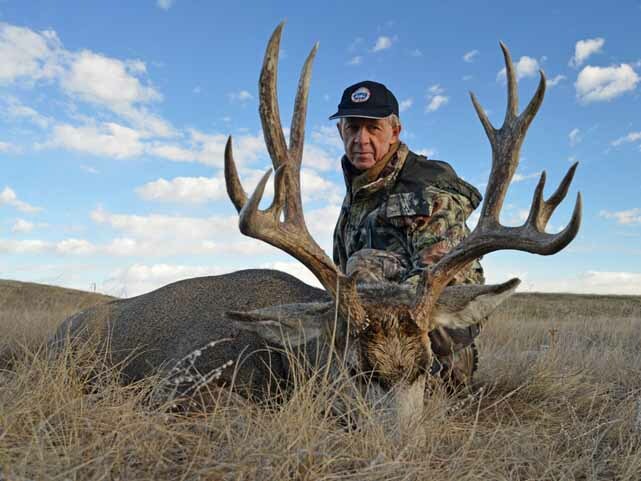 He took this great bull with long points and tremendous fronts, the first morning of his hunt. After a fresh snowfall, the conditions were perfect. This moose was a straggler in a herd of bulls that were heading into the timber and Jay had a very small window to make the shot. Well done Jay! 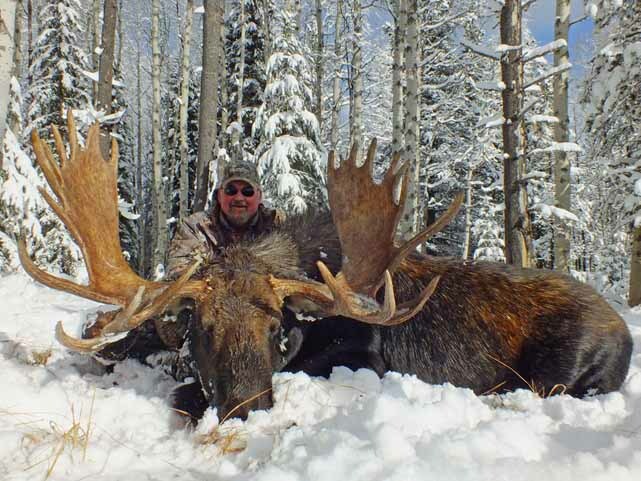 STACEY YOUNG of Pueblo, CO accompanied Jay on his moose hunt. After helping pack out her sweetheart's moose it was her turn. Not to be outdone, she shot this heavy antlered whitetail two days later. After some serious tracking she was rewarded with her "trick or treat" buck on Halloween. We all agreed this buck was definitely a "treat". ASHLEY ROMER of La Grande, Oregon accompanied her fiance Jamie below. She made a challenging shot to take this beautiful, wide and heavy muley buck, her first deer ever. Way to go Ashley! JAMIE CHALLIS of La Grande, Oregon took this pretty muley buck on a gorgeous November day after making a perfect stalk on the deer as he was bedded with his antlers sticking above the sage. 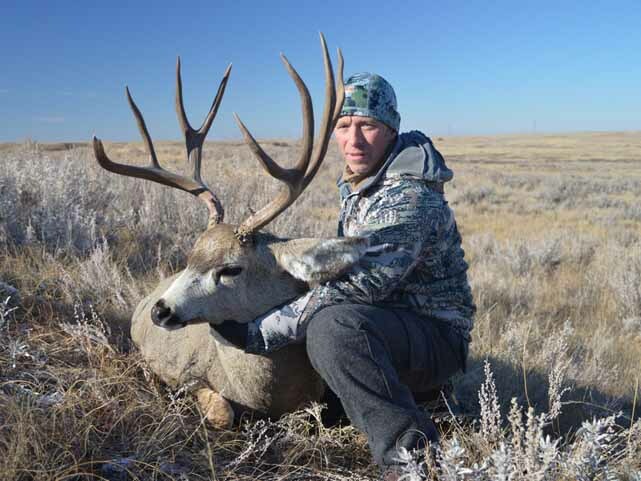 PATRICK GENTIL of France, came back to Alberta in November and harvested this terrific muley on the second morning of his hunt. The buck was spotted in some sand hills and it took a cautious and heart pounding stalk to sneak up on him. Patrick was ready when this high and heavy buck jumped up from his bed at 15 yards. MARC COUNTISS of Sugar Land, TX, saw a couple of trophy bucks earlier in his hunt and was fortunate to take this mule deer on his last day, just as a snow storm blew in. Tremendous buck. Lucky guy. 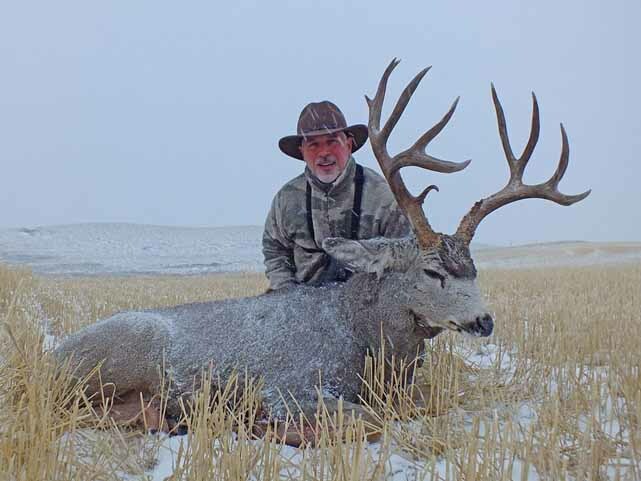 FRIEDHELM SCHMIDER of Roemerberg, Germany took this beautiful muley on the last day of the season. He made a great shot as the buck appeared on the edge of a deep coulee. You can guess what happened. With some ingenuity and effort we were able to retrieve the deer before it was too dark. A great way to end a fantastic season! Thanks to everyone who joined us and made 2013 another memorable year for us. We are honored to share your experiences and successes with you! Darren Daniel, Dale and Penny Silbernagel, John Gordon. Good hunting to all in 2014. We hope you can join us.